Geography with Dan: Tombolo or Isthmus? 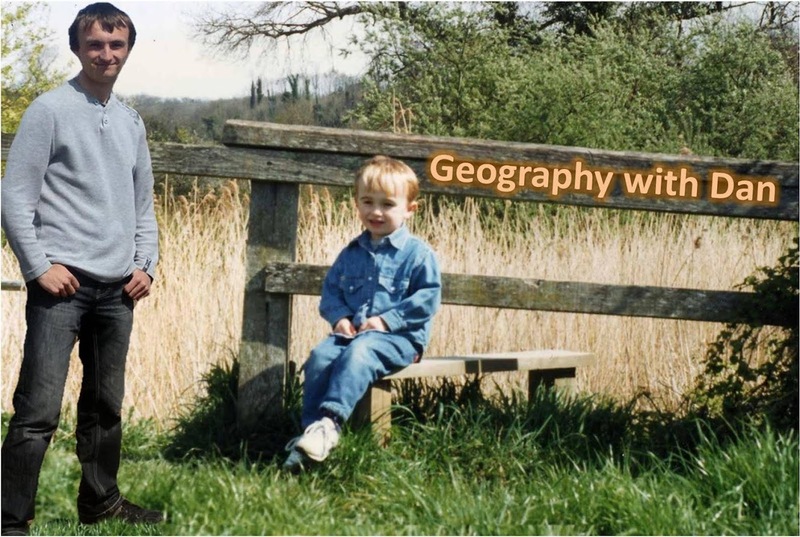 One thing that does annoy me slightly is when non-geographers try to use Geography terminology, but get it very wrong! I've heard it on the radio, seen it on the TV and today, it even occured in Biology. Or did it? Well, perhaps not now that I've looked up the word that I thought they used wrong. We were talking about the Isles of Scilly and the White Island that is connected to it by a land mass, and when the question arose about what this landmass is called, I answered with "tombolo". Apparently, I was wrong and the Biology teacher corrected me with "Isthmus". To be honest, I had my doubts from that point and decided to investigate. In definition, the two are very similar. The Isthmus is a narrow strip of land which connects two islands or two large land masses. A tombolo is a bar or spit formation that connects an island to the mainland or to another island. In fact, some of my books have said that a tombolo is a type of isthmus! So where do we go from here? Well, are there any differences. Having said that, a tombolo is sometimes temporary, whereas an isthmus is regarded as a permanent feature. And a tombolo to some extent only forms when a certain ratio is constant: the length between the two land masses and the width of the inferior sized island. In conclusion, what the Biology teacher said was technically right. The landmass connecting White Island with Isles of Scilly is technically an isthmus. More investigations would have to be carried out to see whether it is a tombolo or not. At present, I think.......maybe not anymore!! I love this post! I was recently visiting Wineglass Bay in Tasmania and it was unclear to me if the geomorphic feature you have pictured here was a tombolo or an isthmus. Did you decide on isthmus? How funny! This came up with my Y8 Geographers in Hobart, Tasmania. 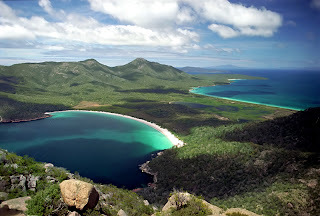 I decided to seek clarification as to what I thought and found this, complete with picture of Wineglass Bay and the isthmus on the East Coast of Tas. As an Englishman I told my class I'd never met an isthmus until I came to Tasmania and now you can't move without tripping over them: Maria Island, Bruny Island, Eaglehawk Neck and Freycinet. One of the class asked about about Diamond Island (Cod Rock) at Bicheno and I said that I thought it was a tombolo as the land connecting it to the mainland was a bar. Having researched it further we're convinced! Thanks for the discussion and also proving to my class I do know what I'm talking about! A celebration of Britain's Parks! Such a great programme: I recommend it!